Do You Feel Stuck in the In-Between? Instead of living life wishing you could jump ahead to the next adventure, these pages will inspire you to slow down and savor the in-between. If you find yourself in the quiet valley of waiting, Jeff Goins offers a kind voice in the silence. This gently honest book challenged me to surrender to the waiting moments rather than try to rush ahead to the next thing — a simply lovely read. We’re an “instant gratification” generation, but the trouble is, most change happens gradually. Most of us spend our lives searching and longing for something more than what’s in front of us. Whether it’s traveling abroad or chasing cheap thrills, we’re all looking for the medicine to satisfy our restlessness. And, so often, we’re looking in the wrong place. Find personal meaning in the times that make the least sense. Hone the underestimated art of living in the moment. Experience the joy that comes with embracing inconveniences. Can we embrace the extraordinary nature of the ordinary and enjoy the daily mundane — what lies in between the “major” moments? 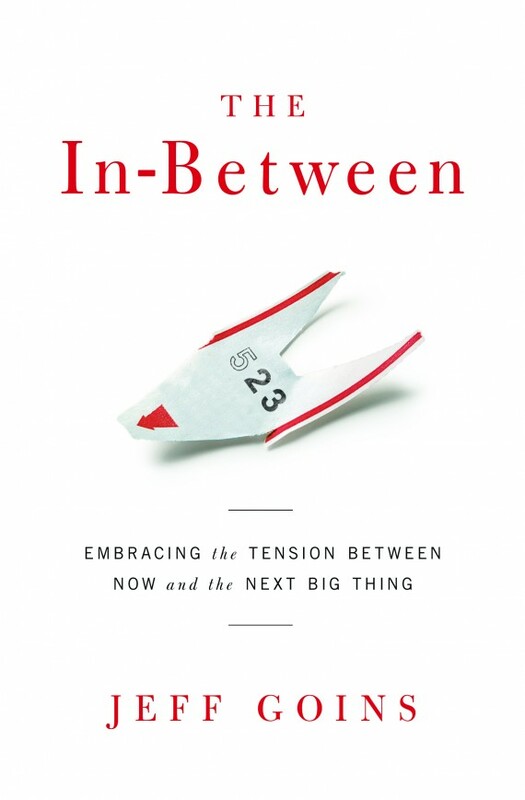 If you’ve ever felt like time waiting is time wasted, it’s because you haven’t read The In-Between by my brilliant writer friend, Jeff Goins. Capture those in between moments with great purpose and focused presence to manage the tension of waiting for what’s next. Moments of breakthrough are not where life’s greatest transformation happens; the stuff that God uses to shape us often lies in the in-between. It’s the bus stops and layovers and DMV lines and moments of unintentional pause that force us to become better people. That’s not to say there aren’t moments of epiphany. There are. It’s just that most of us find ourselves living somewhere in the in-between. Learning to live in this tension, to be content in these moments of waiting, may be our greatest struggle — and our greatest opportunity to grow. Jeff Goins has penned a beautiful reminder that time is sacred, of how even ordinary moments brim with heaven, and that great souls are forged in the crucible of delay. What a delight.